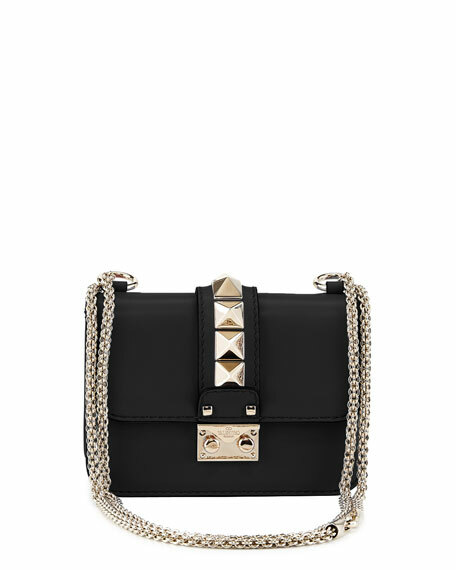 Valentino Garavani calfskin shoulder bag. Platino hardware includes signature Rockstud trim. 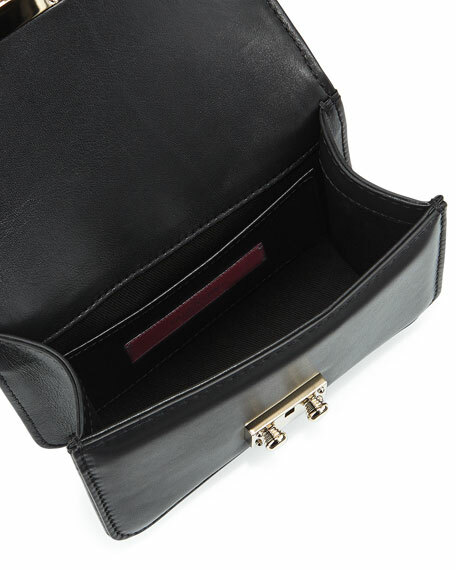 Flap top with logo-engraved pinch-lock clasp. 4.7"H x 6.8"W x 2.4"D.
For in-store inquiries, use sku #1506029.